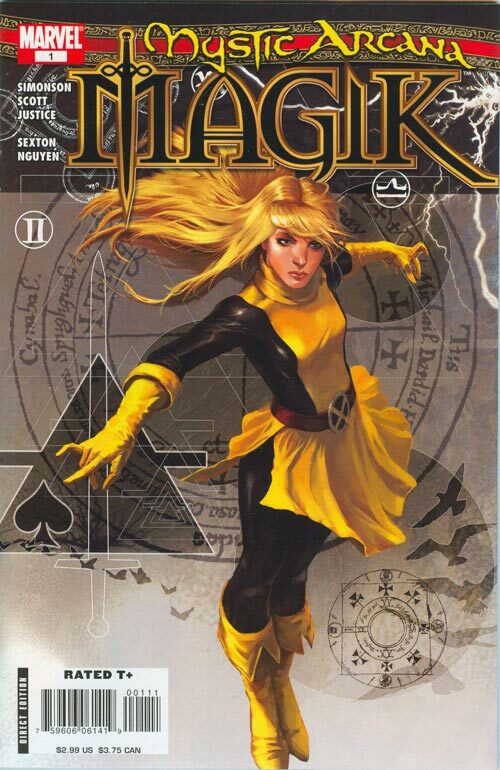 To let new visitors know what is happening, every Easter, I feature a comic that features Magik. Thanks to Comic Book Queers, Episode, 93, gave me this great idea. What better character to spotlight on this day of Resurrections, than Illyana Rasputin! So I’ve been doing titles that chronicle her return to us after her tragic death in Uncanny X-Men 303. 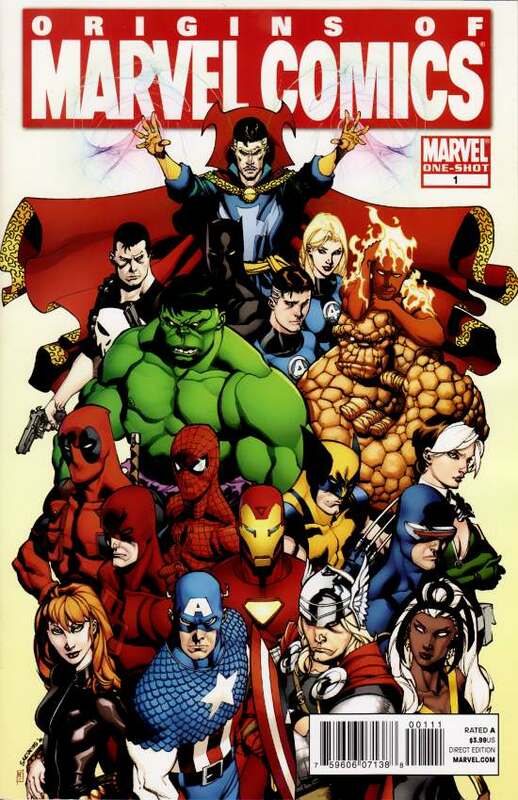 Mystic Arcana was a very soft event where Marvel was hoping this event would spark a renew interest into the magic corner of the Marvel Universe. Sort of like how Marvel is currently doing just their latest crop of magic titles. I sort of love that (very hard to read) opening paragraph. 1602 played with the concept of the importance of the series of four and the elements. It starts with references to the first two heroes of the Marvel Golden Age – the android Human Torch and the great king, Namor. Next came Captain America. The first heroes of the Silver Age – the Fantastic Four – all of them being elemental base – water (Reed), air (Sue), flame (Johnny) and earth (Grimm). There are four higher cosmic beings. Four types of magic. Four cornerstones of creation. We get a break down of who Magik was, as she hadn’t returned at this point in time. W get the note about how this issue takes place during New Mutants Volume One Issue 32. Ian McNee, who frames the entire Mystic Arcana event. He wants to rival Doctor Strange. I’ve never heard of this fella until this event and haven’t heard from him since. Issue opens with Doctor Ian McNee has summoned Oshturi, one of the great cosmic beings. McNee is stuck on the bottom of a mystic frozen ocean. 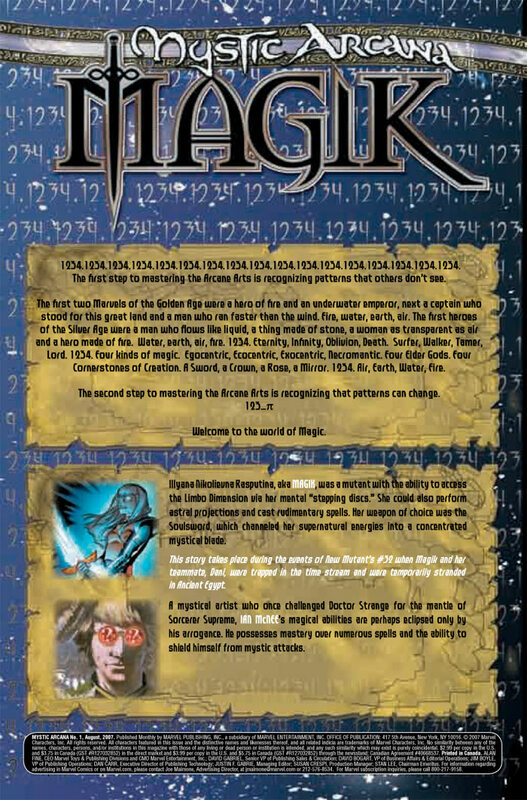 Oshturi will help him but only McGee will have to restore an ancient magician – Heka-nut. McGee agrees and is teleported to his Magic and Curid Shop in Brooklyn, New York. So this issue is going to be setting up who Heka-nut is. 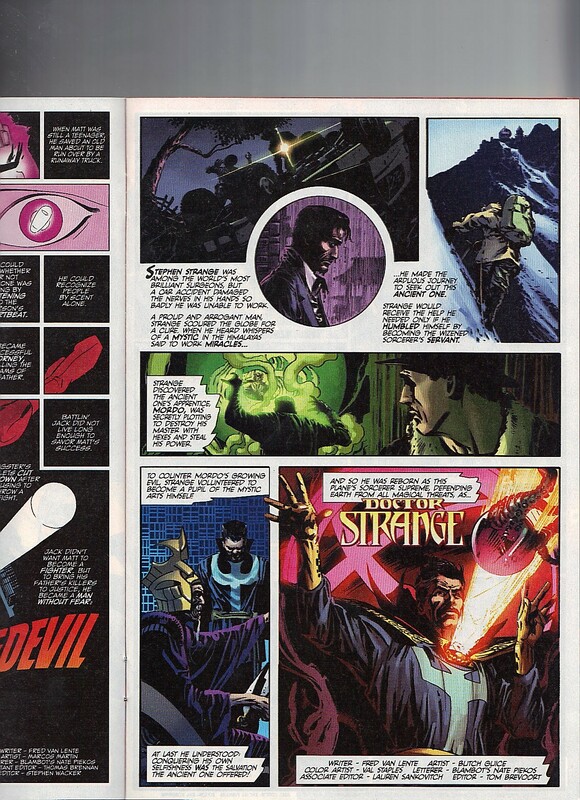 Someone is looking at tarot cards, that match both Illyana and Dani. The two best New Mutants. The third card is Storm’s great Egyptian ancestor. Heka-nut, who must be the one holding the cards, implies that he is the brother to Storm’s ancestor. Ancestress? That can’t be it, right? That’s an impressive tarot set, that has a card for time travel. Illyana quickly reminds Dani of her powers’ weakness. The farther she goes, the more unbalanced her timing is. She wanted five thousand miles and got there, but five thousand years into the past. 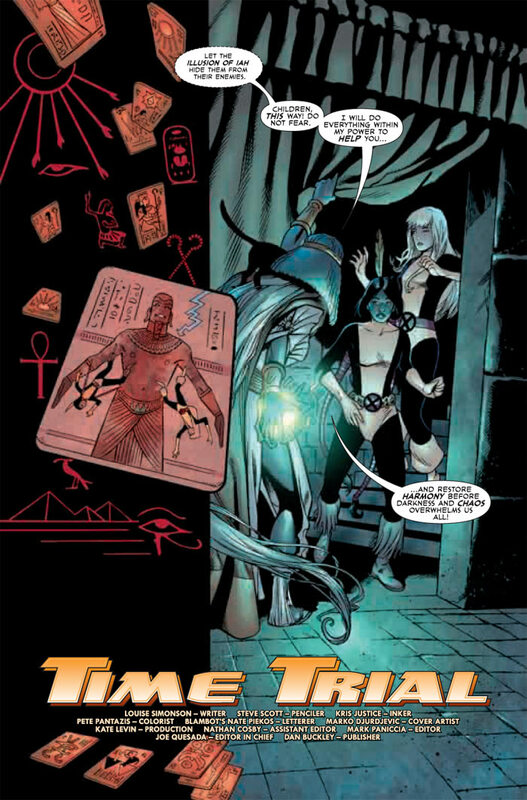 Xavier never taught them Egyptian, but they get that they are in trouble. Dani wants Illyana to teleport them but Illyana’s powers are not kicking in. She needs to rest. Ashake finds the two New Mutants and tells them to hide with her. Ashake must look like Storm as that is who Magik thinks saved them. Ashake is glad that her bloodline is still alive. A spell makes it so that they understand each other. It was Ashake with the tarot cards earlier. Illyana takes an interest in the cards, I do miss this more innocent Illyana. Maybe not innocent but definitely younger. We won’t be seeing her belly button nor thighs in this issue. Ashake can read Dani’s mind but she can’t read Illyana’s. Ashake consults with the cards. She can tell that Illyana is a ruler but of a burden land. Illyana reveals that her kingdom is Limbo but on Earth, her powers manifest in two ways. She also reveals that her powers have a dark undercurrent. Ashake admires how Illyana fights that temptation. Ashake sees that Illyana and Dani are in danger. Danger from . . . Heka-Nut! Heka-Nut’s forces enter Ashake’s home, she quickly turns Dani invisible. Illyana isn’t worried about him corrupting her soul, as hers is already corrupted. Illyana tires to teleport away but she’s still too tired. Since Heka-Nut’s forces are powered by magic, Illyana’s soulsword actually has an effect on them. 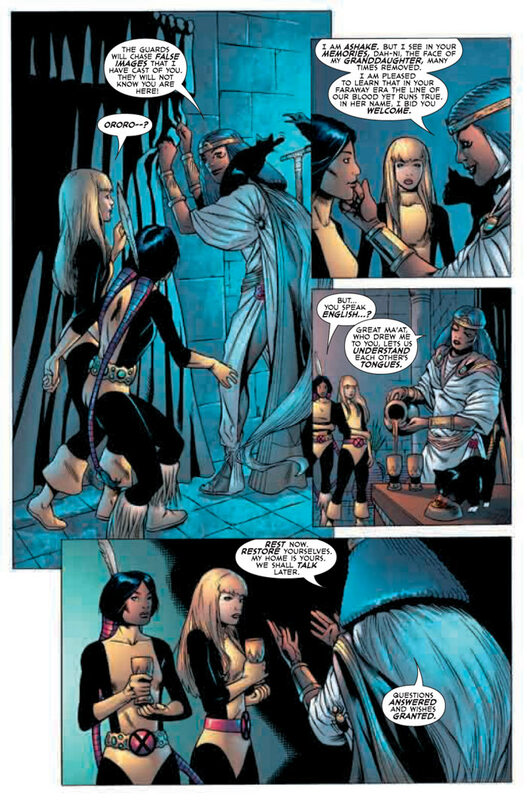 Ashake tells Illyana the Heka-Nut wants the New Mutants for his quest for the Sword of Bone. One of the goons isn’t magically endowed and in her shock, another one knocks her out. Illyana wakes up with Heka-Nut monologuing over them. Magik tries to escape but any pressure against the binds hurts Ashake. Heka-Nut wants to take Magik’s soul so that he can use her in his quest. He can’t as her soul is corrupt so he threatens to hurt Ashake unless Magik helps him. 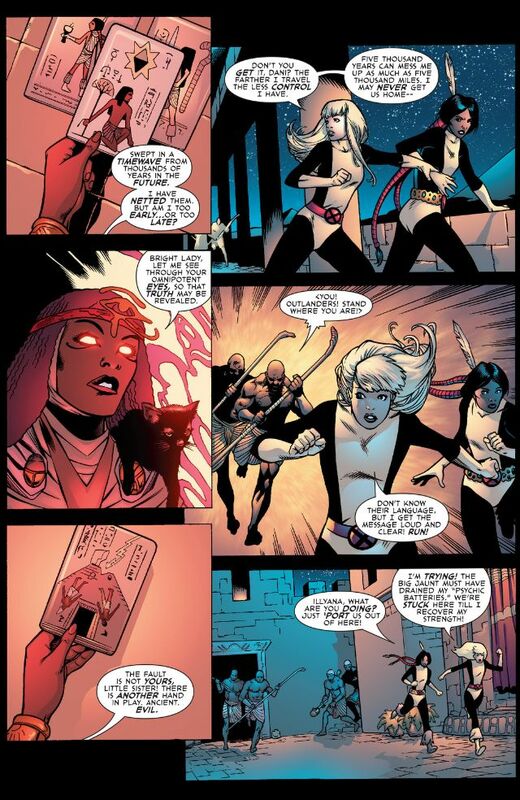 Illyana killed a version of Storm, so she feels like she owes Ashake. There is an ad for the Fantatsic Four Rise of the Silver Surfer game, which if it was as bad as the first game, I recommend skipping this one. Heka-Nut explains the backstory of the Sword of Bone. Turns out, it is one of the cornerstones of existence. Magik tells him that she will help. Hours Later. Ashake and Magik are exploring a temple. I guess Dani must be sleeping in that invisibility spell. The two spring a trap and Magik teleports them to Limbo. Ashake is taken back by the sight. Magik says this is home, which I like her owning it. While there, Magik is able to locate the sword. They get in front of the sword but it is defended by a giant snake. Magik’s soulsword is powerless against the snake. A mystic alligator, sent by the Great Ma’at, steps on the snake. Ashake casts a spell, and the Sword of Bone is seen and she picks it up. It really needs a better name. They are about to give the sword to Heka-Nut but he betrays their deal. They knew this was going to happen so they gave him a fake sword. 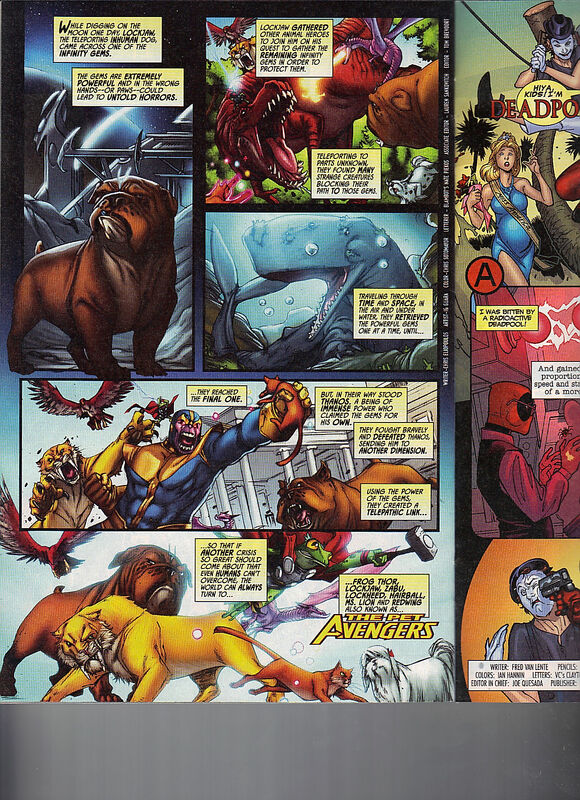 There is a quarter ad for Marvel Adventures Hulk, coming in July2007. Heka-Nut is defeated and the two ladies both have swords now. Ashake refuses to kill Heka-Nut as it is both the wrong thing to do and it will taint her soul. The Bone Sword wants a new master but Ashake sends it away to where they found it. The story ends with Ashake returning Illyana to Dani, who was sleeping during all of this. The two teleport back to their present. Place : A train bound for the Theban Necorpolis. Time : The Present. Ian McNee is flirting with a gal who is wearing an ancient perfume. The girl, of course, is another magic user. This is McNee getting the Sword of Stone, from the beginning of the issue. 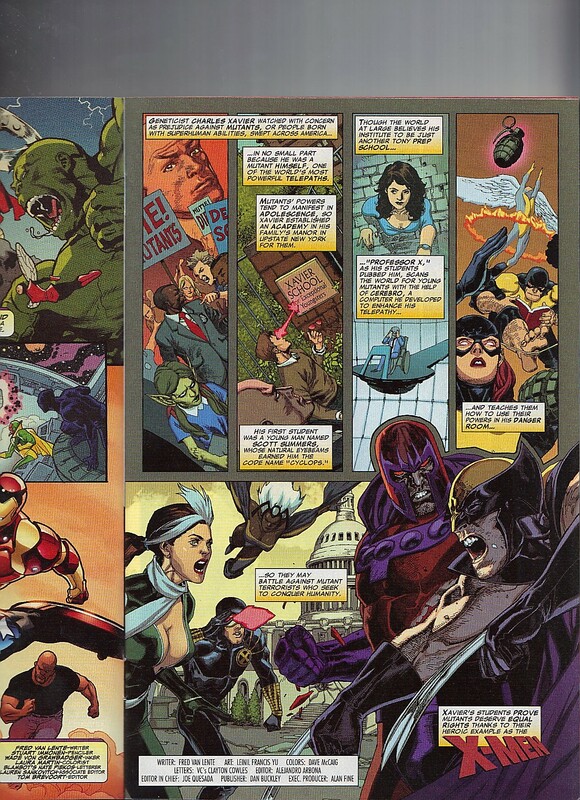 This section continues to Sister Grimm’s tie-in, next will be Scarlet Witch and finally, Black Knight. Back cover ad is a Got Milk ad featuring the film versions of the Fantastic Four, the original cast of the 2007 film.